Repatriation is the return of someone to their own country, either voluntary or involuntary. In a financial sense its the sending of money back to one’s own country of origin. I previously recorded this mix and was planning to delete it because it did not meet my high technical standard. Then the S—hole comments happened. The president of the United States verbally assaulted beloved Haiti and the beloved continent of Africa. Please look up Ivan Van Sertima (They came before Columbus) and Marcus Garvey. Hopefully, many of you listening will become, or already are, strong, inspirational black leaders because that’s what we need. We need to disseminate information about our history which has been cut off, ripped away, burned, and destroyed. Our oral tradition was stopped by design. Africa is the motherland. Africa is our Homeland. I am using reggae music to teach and as you listen to the songs in this mix and you know it’s a very spiritual thing. You know it’s very cultural. Much respect goes to all the singers and players of instruments for channeling the power in this wonderful music. Reggae is a language to communicate with all people around the world. For more, please check out my website highlanda.net, and follow me @highlanda on Twitter. I’m on Facebook, SoundCloud, Mixcloud, iTunes, on TuneIn radio, and all your favorite podcast apps. Please follow the show on Instagram @reggaeloverpodcast and on Twitter @reggaeloverpod. Please continue to retweet and share. I love that! Unity is strength. Reggae music is here to stay and I’m going to continue to push the positivity and increase the levels of Consciousness. I give thanks – real gratitude and appreciation – to anybody that’s checking this out right now. If you want to align your brand with what I’m doing on the reggae lover podcast and get your message to the demographic that we are reaching across the world, especially if you’re in markets like New York, Ontario, London, and Tokyo, Japan, please email reggaeloverpodcast@gmail.com. For any requests, or business inquiries you can also call 404-552-0492. 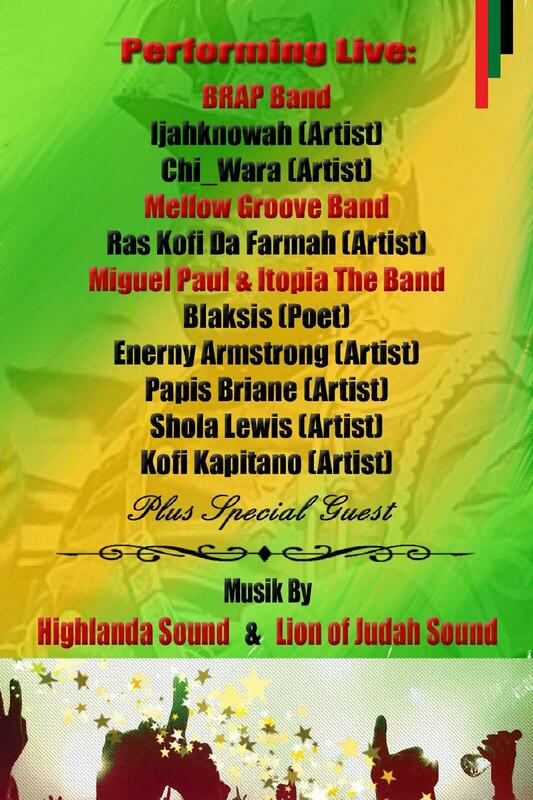 Thank you for listening to reggae lover podcast episode 82. Are you ready to enjoy a festival that helps you to promote a healthier lifestyle? 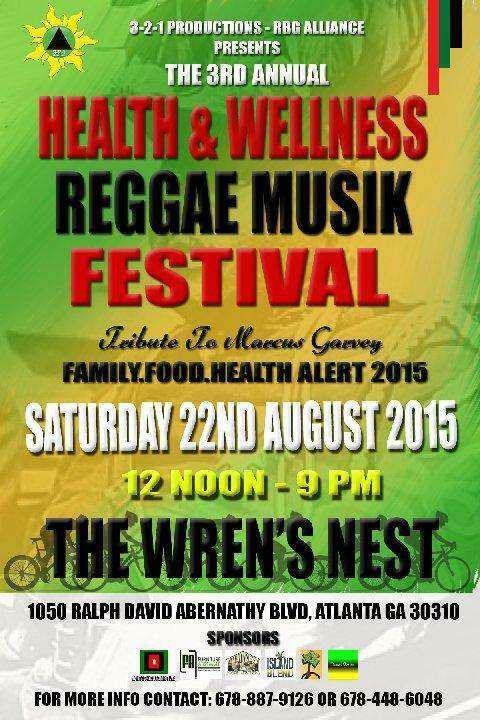 Then join us for a jammin’ to your health and wellness reggae musik festival. This open air festival is suitable for all ages! 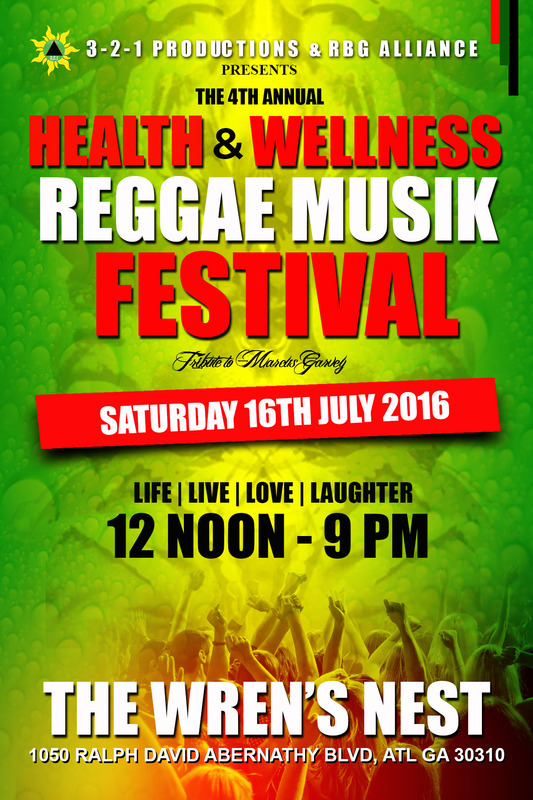 The Health and Wellness Reggae Musik Festival 2016 will be held July 16, 2016, at The Wren’s Nest, 1050 Ralph David Abernathy Blvd. Atlanta, GA 30310 from 12 to 9:00 pm. 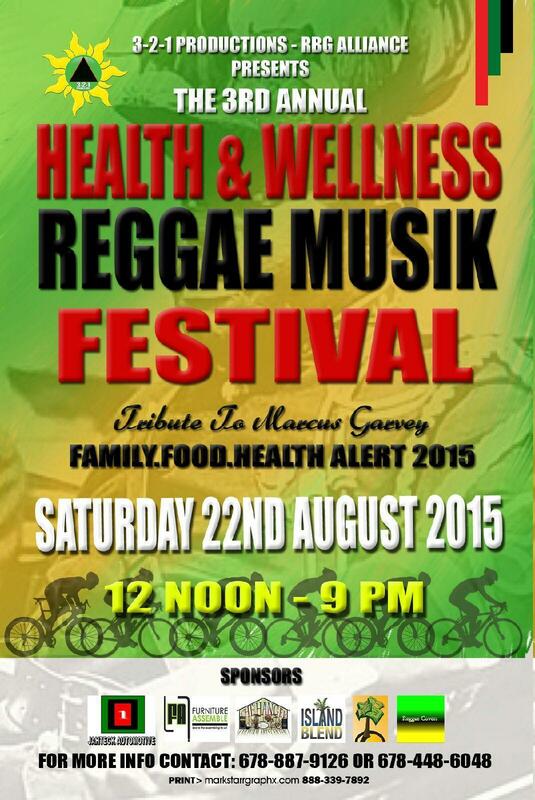 3-2-1 Productions and the RGB Alliance present to you the 2015 Health and Wellness Reggae Music Festival. This annual event is a Tribute to Marcus Garvey and a proactive response to the current family, food, and health crisis that plagues the black community and America as a whole. Come and learn from holistic healers and practitioners. 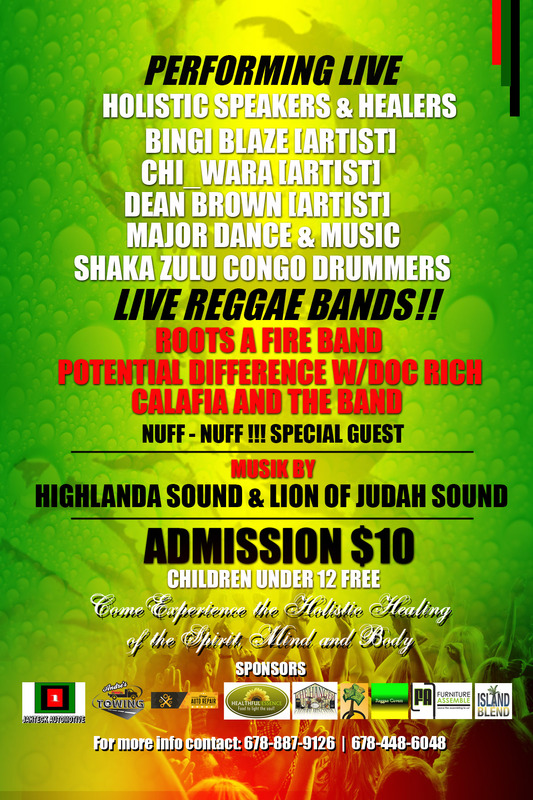 Be entertained by Poets, Dancers, and Drummers hitting the stage along with top notch reggae bands, Highlanda Sound alongside Lion of Judah Sound, vocal performers, and musicians for a day of upliftment and positive energy. More acts are to be announced. Feast on healthy foods, drinks, and snacks. Purchase arts and craft items, books, DVD’s and more. Get screened for variety of conditions to know your status. Come for the holistic healing of mind, spirit and body. I will be performing on the big stage. Stay tuned for more information. All Vinyl Everything 2015 is almost here!